When it comes to buying a new garage door, the wide variety can often feel quite daunting. That's why it's important to understand the differences between each mechanism. That way you can narrow down your search and hopefully find the model best suits your needs. 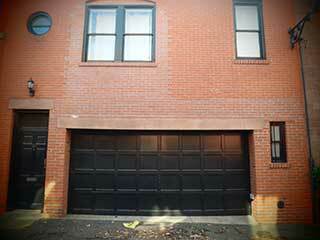 One of the most popular types of up and over garage doors would be the canopy door type. For once, they are quick and easy to install. They can potentially be controlled with a remote, however, additional equipment, such as a motor, will need to be installed in order to achieve that. Therefore, although fairly affordable as they are, converting these manual systems into automatic ones can be quite costly. Another up and over type of door that has been increasing in popularity would be the retractable type. These models have gained popularity for their ability to be easily converted into remote controlled doors. This type of system is known to be quite reliable. Instead of cables, it makes use of tension springs that retract to lift up the panel. These systems are used by most homeowners today. Offering higher levels of security and better options for insulation, the sectional garage door is often chosen because it does not swing out like an up and over system does. Apart from this safety feature, sectional doors come in many sizes, including large ones that can accommodate bigger homes. This is another type of garage door that does not swing out. Its classic design and simple mechanism allows it to roll up and down from a barrel. It is highly popular because it maximizes width and height, making it a good choice for many types of houses of many different sizes. Commonly made of steel or aluminum, these types of doors are usually very sturdy and include a lot of safety features. Since they are usually motorized, these roller systems can be a bit on the pricey side. But their many upsides may make the relatively higher price seem negligible. Before choosing a door, consider your options and consult one of our expert technicians to find the model that best suits your needs.